There has never been anything wrong with the Toyota Auris, but a car can’t get away with simply being ‘okay’ these days – which is why Toyota has given it a fairly hefty overhaul. 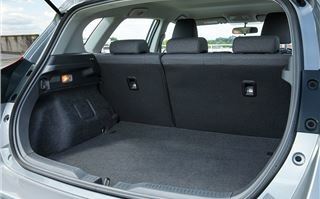 That means fresh styling, a revamped interior and new safety equipment for the British made-car. It also gets new engines including a 1.2-litre turbocharged petrol and BMW-sourced 1.6-litre diesel. 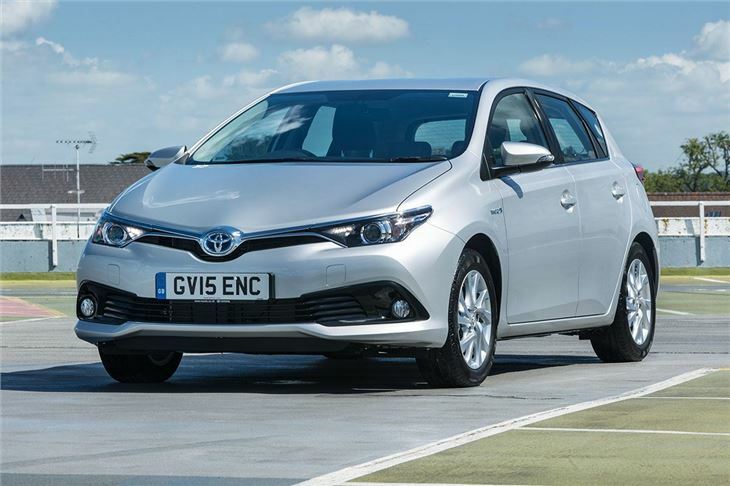 However the hybrid variant has always been the ace up Toyota’s sleeve and that is set to continue - despite the new engine options, more than half of all Auris models sold are hybrids. 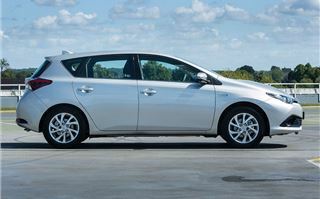 The system used in the Auris is the same as that in the Prius, with a 1.8-litre petrol engine, a battery pack and an electric motor, all linked up to an automatic transmission for fuss-free driving. 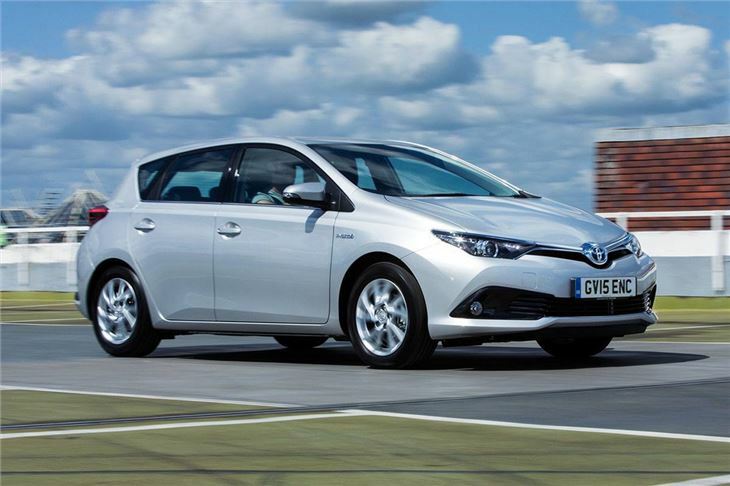 All Auris engines from March 2015 are EU6 compliant. 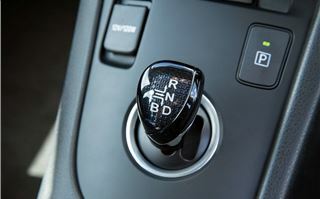 In practice the hybrid drives like any auto – choose D on the tiny gear-selector and off you go. It’s possible to run short distances on electric power alone, but most of the time drive comes from a combination of electricity and petrol, via a smooth CVT automatic gearbox. This generally remains quiet and refined unless you find a steep hill or need to overtake, where it can get raucous in typical CVT fashion. 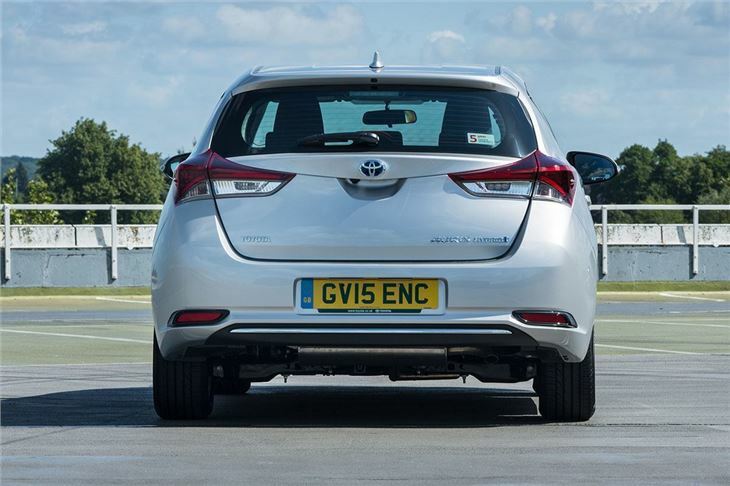 Driving the hybrid is so effortless, particularly in traffic, that it is easy to understand its popularity. 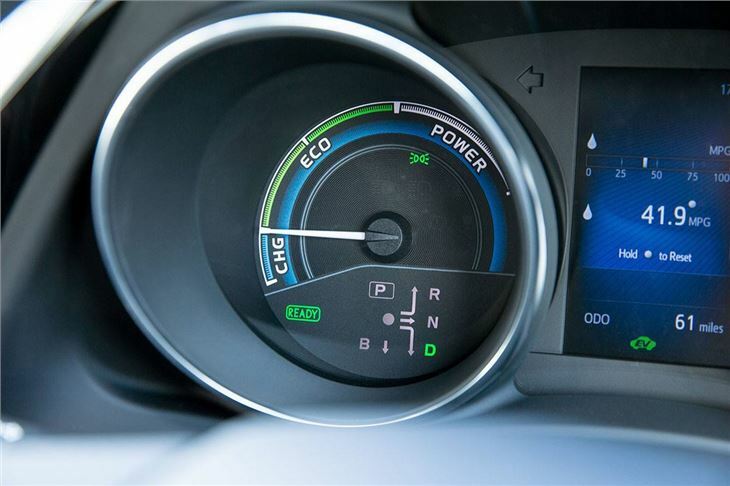 That is especially true when you factor in the low running costs afforded by the 79g/km CO2 emissions and the official economy figure of 80.7mpg – but you shouldn’t write off the new petrol and diesel engine options. 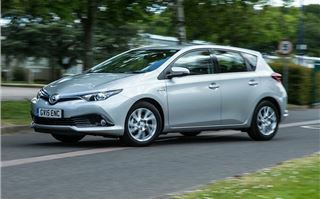 The 1.2-litre petrol, in particular, is a highlight of the updated Auris range. This little four-cylinder engine makes a useful 185Nm of torque from low revs, so is willing and flexible on the road, yet it is also tremendously quiet and refined even at motorway speeds. 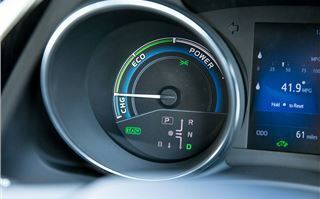 It also has low running costs thanks to economy of 58.9mpg and emissions of 112g/km. 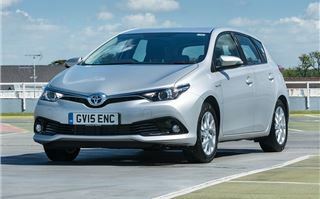 Equally impressive is the new 1.6-litre diesel, which we have already tried in the recently revised Avensis. 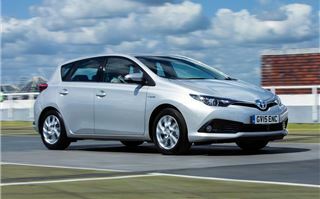 It works better in the lighter Auris and with less weight to haul around, it is responsive and flexible. 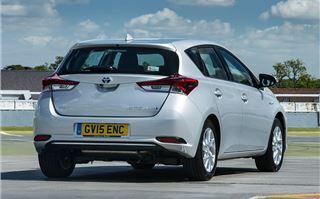 Plus it has relaxed gearing that makes for quiet long-distance motorway driving. 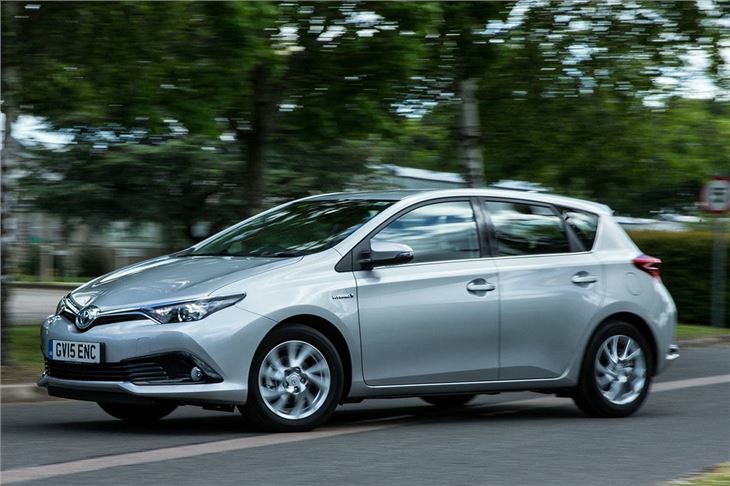 For someone who does high mileages it is easily the best engine available for the Auris. Toyota also offers the existing 1.4-litre D-4D diesel and entry-level 1.33-litre petrol as before. Regardless of engine, the Auris is a very relaxing and easy-to-drive car. The controls are light and accurate, the suspension offers good comfort and there is plenty of front-end grip to inspire confidence when driving on twisting roads. 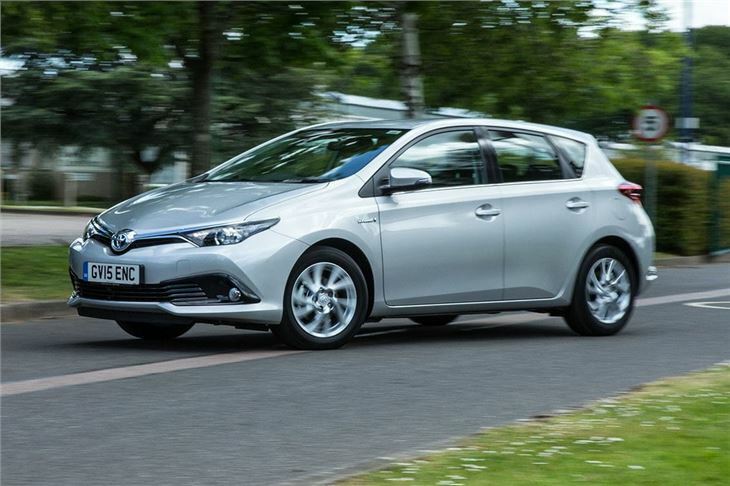 Sure, there isn’t much fun to be had, but for getting around without fuss, the Auris can’t be faulted. 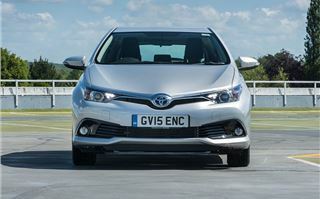 Toyota hasn’t only revised the engine range – the cabin has been given a significant overhaul too. Previously it featured a mishmash of different plastics and shades, but now it is cleaner, neater and better finished, with a large infotainment screen, clear dials and simple, classily laid out air conditioning controls. 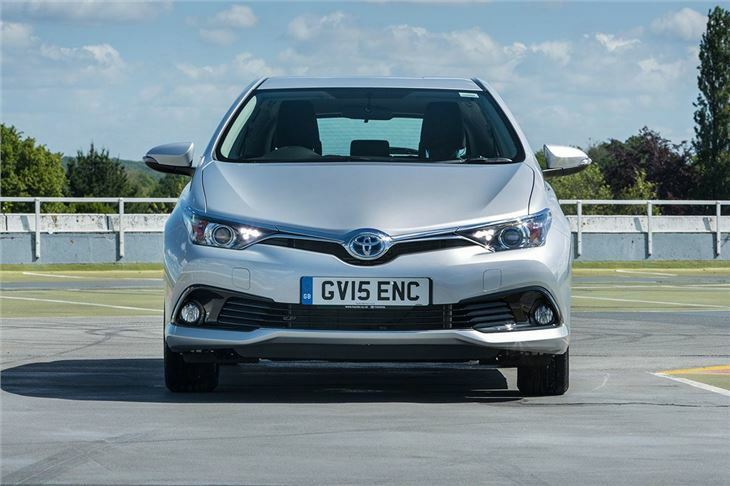 The changes make a big difference to how the Auris feels, giving it a classier ambience than before – but it still doesn’t match a Volkswagen Golf or SEAT Leon for feel-good factor. 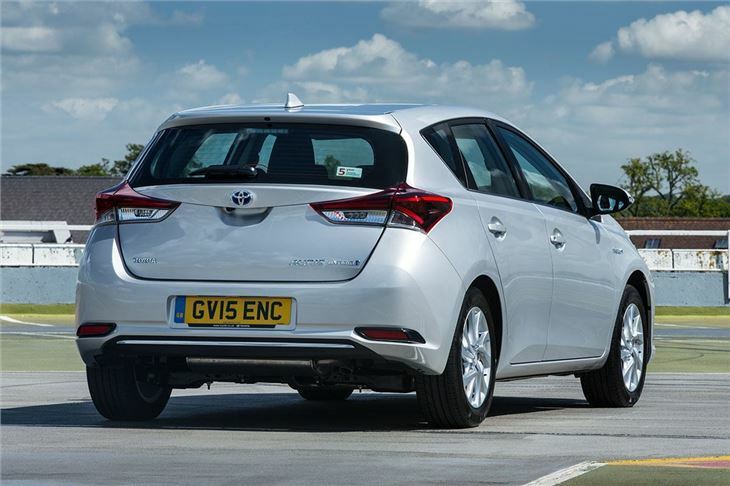 Both offer a more effortless and simple design than the Auris, despite the obvious improvements. 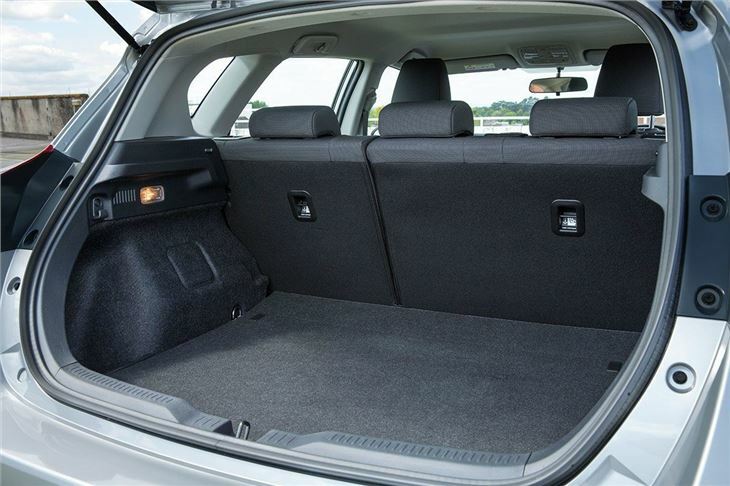 That said, it might not be the most plush interior, but it is practical, with plenty of space in the back and a reasonable boot of 435 litres. Standard equipment on basic, £15,245 Active models includes air conditioning, LED running lights and 15-inch alloy wheels, while mid-grade models get a touchscreen system, DAB radio and a reversing camera. The hybrid model was previously only available in upper trim levels but demand means it is now available across all versions - but it still carries a steep price tag of at least £19,645, which will buy you a fairly well-equipped diesel Ford Focus. 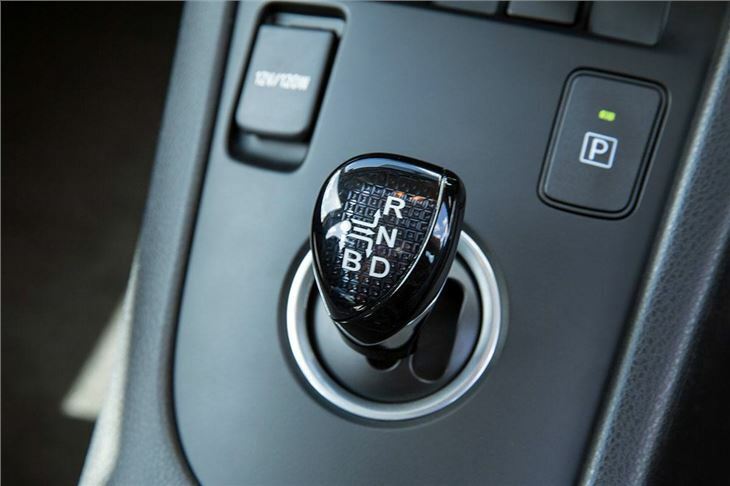 Optional extras include a package of active safety technology, with collision mitigating braking and lane departure warning, traffic sign recognition and automatic main beam. Other convenience features include a navigation upgrade for the infotainment and an automated, hands-free parking system, though you have to pick the top Excel trim to get the latter. 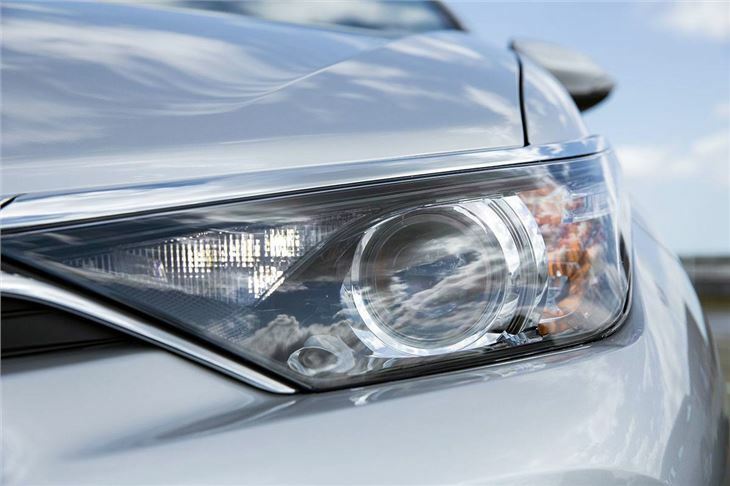 Toyota has a reputation for reliability, despite the mainstream media jumping on it every time there is a recall, plus there is a five-year 100,000 miles warranty as standard. 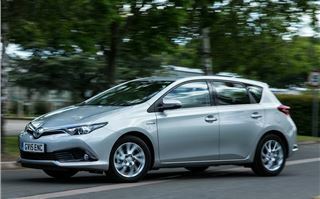 Add easy driving dynamics and low running costs and the Auris looks like a good bet for drivers who want a sensible car with no surprises. However if you demand any charisma or flair from your family car there are some much better alternatives on the market, including the Volkswagen Golf.